FREE ONE COLOUR SCREEN PRINTING ON FRONT! Brass Metal business cards look like gold. 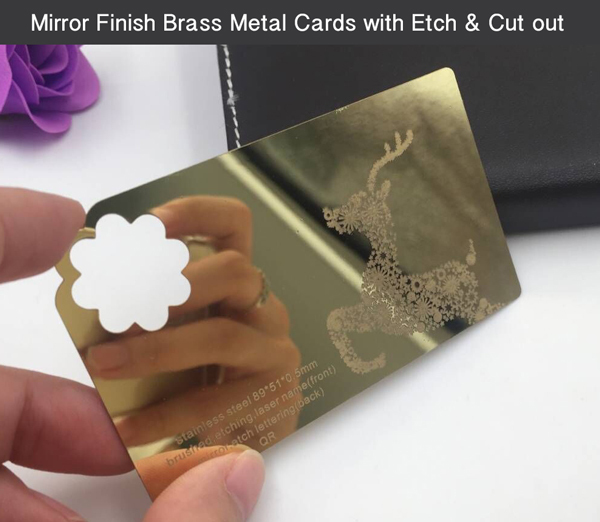 These beautiful cards are crafted on stainless steel. 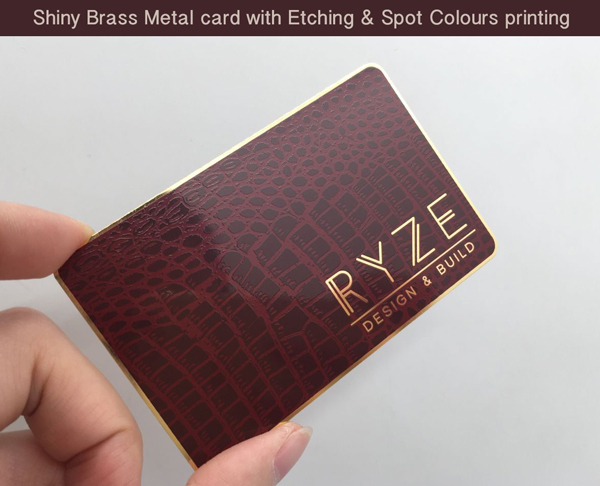 We also offer 24K Gold plated cards for customers that want to get something unique for their business. Contact us for thicknesses/ quantities/ finishes not available online. Other finishings like barcode printing, signature panel, chip, embellishments also available. Contact us for a custom quote.